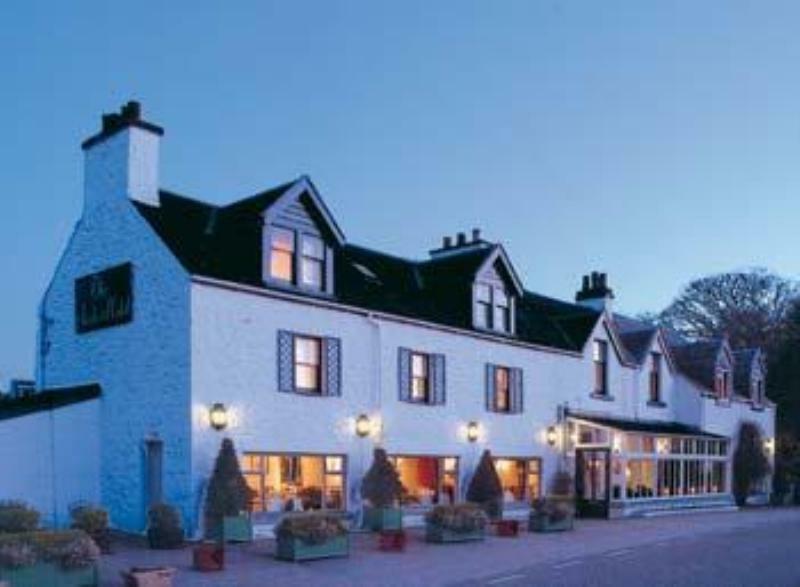 A converted and greatly extended ferry inn by the shores of Loch Linnhe is the setting for this stylish, personally run hotel. Airds has been around a long time, but the views across the water to Mull, Lismore and the Morven mountains beyond are as breathtaking as ever. Some of the best views are from the big windows of the smartly elegant conservatory-style restaurant, with its ornithological prints on the walls and pristine napery on the tables. Dinner is the main event and chef Chris Stanley is capable of producing elaborate, luxurious dishes with a forthright modern accent. Sauté fillet of sea bass with red onion, sun-dried tomato, olives and herbs could open proceedings, alongside breast of squab pigeon with seared foie gras, wild mushroom and summer truffle. A soup (cream of butternut squash, for example) or water ice precedes a choice of three main courses: expect, say, seared wild salmon and scallop with soft herb and Parmesan risotto and shellfish cappuccino or roast loin of lamb with potato gratin, wild mushrooms, creamed spinach and basil jus. Desserts provide plenty of choice in the shape of iced praline parfait with crème anglaise and orange segments or warm date pudding with butterscotch sauce. A plentiful assortment of around 18 house wines heads the impressive list, which promises a serious look at Burgundy and other French regions as well as some interesting stuff from elsewhere. £56.00 per person inclusive of V.A.T.